Water Filters by HealthyWaterSupply - Free Shipping| HWS CT Prefilter 5 micron For Sintra Counter Top RO Reverse Osmosis Water Filter System. HWS CT Prefilter 5 micron For Sintra Counter Top RO Reverse Osmosis Water Filter System. HWS CT Sediment Prefilter 5 micron. 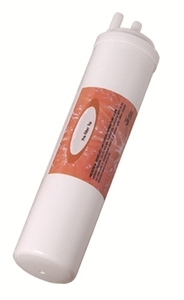 This Sediment Pre-filter removes hard sediment particles, such as rust, sand and silt. Used With HealthyWaterSupply Sintra Counrter Top Reverse Osmosis Water Filter System.